But while most golfers would be begging for blessed relief after such a frustrating year — he's playing his 32nd official event, more than he's ever played since turning pro in 1996 — and calling for the mince pies and Christmas crackers, Harrington says he wants to play more golf. 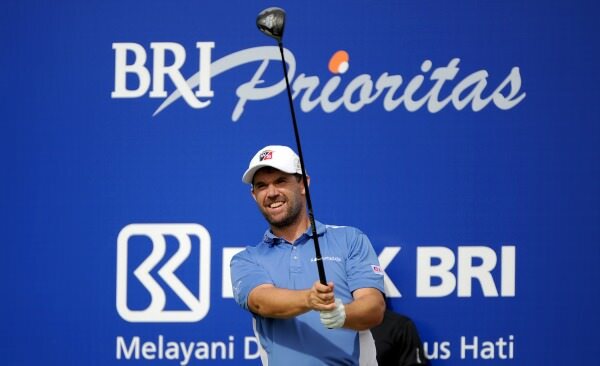 Speaking ahead of his debut on Indonesian soil at the $750,000 BANK BRI Indonesia Open, Harrington said: "The key for me is to get my head in the right place this week. My putting has come around so I have to play more golf now to give myself an opportunity. I’ll be more focussed on my mental game more than anything else this week." Harrington's head has been anywhere but the right place for most of the year and as a result he's missed 14 cuts, lost his PGA Tour card, finished 97th in the Race to Dubai and fallen 254 places to 385th in the world . The three time major champion's last big tournament win also came on the Asian Tour, when he captured the Iskandar Johor Open in 2010. But that was a very different Harrington. He'd shown signs of recovering from the blows of 2009 when he was third at Doral, eighth at Wentworth, second in the 2010 Irish Open in Killarney and ninth in the Bridgestone at Firestone, to name just a few highlights. But it was also a season that signalled the beginning of his recent decline and while putting and chipping problems have plagued him ever since, he's never given up and shown signs of recovery on the greens. He certainly loves a challenge and while the prize money and the world ranking points are meagre, playing his way into a position of confidence is Harrington's goal now. RT @FastTrackAsia: Padraig Harrington making friends with the local media @IndoOpenGolf pic.twitter.com/kISrJ8KHAs No ‘tache? "It is my first time in Indonesia," he told the media at Pantai Indah Kapuk near Jakarta, where conditions are expected to be warm and windy. "I’ve been coming to Asia since 1997," Harrington said. "I’ve always enjoyed it in Asia. I get on quite well in the East. I don’t have a problem with the hot weather. I like playing here and enjoy the different cultures and food. "One of the most interesting things coming over to the Asian Tour is how it has developed since 1997. I look forward to seeing more young players this week. "When I first came out to Asia, the really good players tend to come from a caddy background with unique golf swings. "The young Asian players that I see now are coached and they have beautiful golf swings and strike the ball really well. I think if you merge a really good ball striker and someone with a strong and good character, you will have a world champion who will win many Major tournaments. "Golf is a great sport that you can travel the world where you compete and see different cultures. I think I have the experience now of playing on different conditions. I’m looking forward to getting out there. It is cooler than expected!" Muskerry's Niall Turner is also playing on a sponsor's invitation having already secured his Asian Tour card for 2015 via the top five in Asian Development Tour rankings. Harrington will tee it up with defending champion Gaganjeet Bhullar and Mardan Mamat while Turner goes off with Indonesia's Bramantio Adi and Taiwan's Chia-Jen Hsu. Korean-American David Lipsky will be hoping to seal the Asian Order of Merit from India's Anirban Lahiri while defending champion Bhullar, Thailand's Prom Meesawat and Australian Scott Hend will also make life tough for Harrington in his bid to end 2014 on a high.